Riyadh (AFP) - Ten Saudi women appeared in court Wednesday for the first time since being detained last year in a sweeping crackdown on activists, ratcheting up scrutiny of the kingdom's human rights record. The trial of the women, who have been held for nearly a year without charge, comes as Saudi Arabia seeks to placate international criticism over last year's brutal murder of insider-turned-critic Jamal Khashoggi. Prominent activists Loujain al-Hathloul, Hatoon al-Fassi, Aziza al-Yousef and Eman al-Nafjan were among those who attended Riyadh's criminal court, where they heard the charges against them, court president Ibrahim al-Sayari said. Family members of the women -- some of whom allegedly faced torture and sexual harassment during interrogation -- were permitted to attend the court session, but a group of around two dozen foreign journalists and Western diplomats were barred from entering. Visibly distressed relatives huddled together outside the courtroom, clutching handwritten appeals for the judge as they waited their turn to see the detainees inside. The charges against the women were not disclosed to the public. But London-based rights group ALQST said they were held under the kingdom's sweeping cyber crime law, which carries prison sentences of up to 10 years, based on their contact with "hostile entities" including human rights organisations. Sayari said the women would have access to independent lawyers for the trial, a right that family members claimed they had been denied for the entire stretch of their detention. "It now seems that the authorities will charge the women's rights activists, after keeping them in detention for nearly one year without any access to lawyers, and where they faced torture, ill treatment and sexual harassment," said Amnesty International's Middle East campaigns director Samah Hadid. "The authorities are now treating defending women's rights as a crime, which is a dangerous escalation in the country and their crackdown on human rights activism," Hadid told AFP. More than a dozen activists, many of whom campaigned for years for the right to drive, were arrested in May last year -- just a month before the kingdom ended its longstanding ban on female motorists. Some were subsequently released. At the time the activists were accused by some government officials of undermining national security and aiding enemies of the state, while state-backed media branded them as traitors and "agents of embassies". Human Rights Watch researcher Adam Coogle said the trial and alleged mistreatment of the women "is yet another sign of escalating repression in Saudi Arabia". "Authorities should immediately halt these unfair proceedings and release any activist charged solely based on their peaceful activism," he told AFP. Amnesty and the family of Hathloul, who was among the detainees allegedly tortured and sexually harassed, had feared the women would be charged with terrorism, as they had been expected to appear at a court set up to handle terror-related cases. But relatives received a last-minute call informing them the case had been shifted to the criminal court, without being told why. The move has triggered speculation the trial -- shrouded in secrecy -- could pave the way for the release of the women, after the crackdown prompted scathing criticism against Crown Prince Mohammed bin Salman. Some detainees, including Hathloul, were recently made to sign letters in prison requesting a royal pardon from King Salman, family members said. "Terrorism charges are very hard politically for the Saudi government to go soft on, but criminal charges may open the door for an acquittal," Bessma Momani, a professor at Canada's University of Waterloo, said. 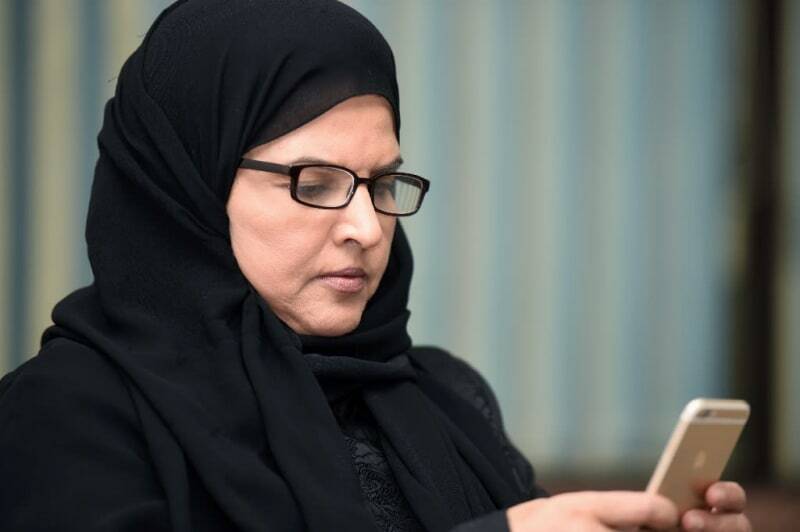 "The Saudis need to change the page on this file badly -- its economy and success of its reform drive hinges on removing the negative perceptions that the arrests of these women has caused," she told AFP. Prince Mohammed's much-trumpeted drive to modernise the conservative kingdom has been dented by the detentions, part of a wider crackdown by Saudi authorities on activists, clerics and critics in recent years seen as stamping out political dissent. The arrests have resulted in further pressure on Saudi Arabia, which has faced global outrage over journalist Khashoggi's murder in the Saudi consulate in Istanbul last October.